(Reuters) - Botox maker Allergan Plc agreed to pay $2.48 billion in cash for Zeltiq Aesthetics Inc , adding a system that it says helps people slim down by freezing fat away to the company's line-up of aesthetic products. Allergan said it would benefit from the cross-selling opportunities for consumers of Zeltiq's CoolSculpting System, which uses cooling to kill fat cells, as well as customers of its own facial injectible products. 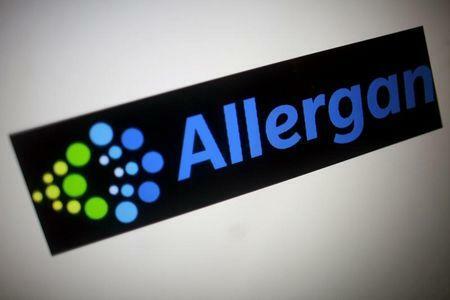 "Demand for both procedures is high and this is similar to pouring more gas on the fire," Allergan Chief Commercial Officer Bill Meury said on a call with investors. The Botox maker agreed to pay $56.50 per Zeltiq share, or a premium of 14.4 percent to the company's Friday close. Zeltiq's shares rose 12.8 percent to $55.72 in midday trading on Monday. Zeltiq's process was created after two scientists at Harvard University noticed that some children who ate popsicles got dimples in their cheeks, according to Zeltiq's website. They discovered that the popsicles were eliminating small pockets of fat cells. Insurers do not cover Zeltiq's CoolSculpting System, meaning the bulk of the company's more than $350 million in 2016 sales was paid directly by consumers. Allergan said it has been targeting so-called "cash-pay" businesses, which is a model it uses for some of its Botox sales and other aesthetic offerings. In the three months ended Dec. 31, total medical aesthetic product sales accounted for 28 percent of Allergan's net revenue. Moelis & Co is Allergan's financial adviser, while Debevoise & Plimpton LLP serve as legal counsel. Guggenheim Securities is Zeltiq's financial adviser, while Cooley LLP will provide legal advice.